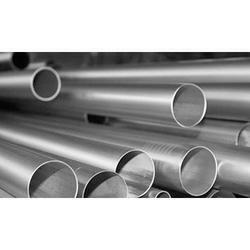 Leading Wholesale Trader of duplex steel round erw pipes, duplex steel square seamless pipes, duplex steel round seamless pipes, alloy steel rectangular erw pipes, alloy steel square erw pipes and carbon steel round erw pipes from Mumbai. NeelKamal Steels are widely involved in manufacturing Duplex Steel Round ERW Pipes. We have a huge range of such Duplex Steel Round ERW Pipes at our store which is highly praised for their features. These Duplex Steel Round ERW Pipes have smooth internal finish, high tensile strength, solidity and it is precisely designed.These types of Duplex Steel Round ERW Pipes are used in nuclear power, petroleum and petrochemical plants, marine applications and fossil fuel power plants. These types of Duplex Steel Round ERW Pipes are generally used for energy related functions that are related to oil and gas drilling.The variety of Duplex Steel Round ERW Pipes that are available in our store varies in size the seamless pipes starts from ½” to 24” and the welded ones are from ½” to 130”. These Duplex Steel Round ERW Pipes are available in different types of materials and dimensions and it is supplied only after passing the test certificate of the manufacturer. These Duplex Steel Round ERW Pipes are made up of top quality steel which makes them sturdy and long lasting. NeelKamal Steels are widely involved in manufacturing Duplex Steel Square Seamless Pipes. We have a huge range of such Duplex Steel Square Seamless Pipes at our store which is highly praised for their features. These Duplex Steel Square Seamless Pipes have smooth internal finish, high tensile strength, solidity and it is precisely designed.These types of Duplex Steel Square Seamless Pipes are used in nuclear power, petroleum and petrochemical plants, marine applications and fossil fuel power plants. These types of Duplex Steel Square Seamless Pipes are generally used for energy related functions that are related to oil and gas drilling.The variety of Duplex Steel Square Seamless Pipes that are available in our store varies in size the seamless pipes starts from ½” to 24” and the welded ones are from ½” to 130”. These Duplex Steel Square Seamless Pipes are available in different types of materials and dimensions and it is supplied only after passing the test certificate of the manufacturer. These Duplex Steel Square Seamless Pipes are made up of top quality steel which makes them sturdy and long lasting. NeelKamal Steels are widely involved in manufacturing Duplex Steel Round Seamless Pipes. We have a huge range of such Duplex Steel Round Seamless Pipes at our store which is highly praised for their features. These Duplex Steel Round Seamless Pipes have smooth internal finish, high tensile strength, solidity and it is precisely designed.These types of Duplex Steel Round Seamless Pipes are used in nuclear power, petroleum and petrochemical plants, marine applications and fossil fuel power plants. These types of Duplex Steel Round Seamless Pipes are generally used for energy related functions that are related to oil and gas drilling.The variety of Duplex Steel Round Seamless Pipes that are available in our store varies in size the seamless pipes starts from ½” to 24” and the welded ones are from ½” to 130”. These Duplex Steel Round Seamless Pipes are available in different types of materials and dimensions and it is supplied only after passing the test certificate of the manufacturer. These Duplex Steel Round Seamless Pipes are made up of top quality steel which makes them sturdy and long lasting. NeelKamal Steels are widely involved in manufacturing Alloy Steel Rectangular ERW Pipes. We have a huge range of such Alloy Steel Rectangular ERW Pipes at our store which is highly praised for their features. These Alloy Steel Rectangular ERW Pipes have smooth internal finish, high tensile strength, solidity and it is precisely designed.These types of Alloy Steel Rectangular ERW Pipes are used in nuclear power, petroleum and petrochemical plants, marine applications and fossil fuel power plants. These types of Alloy Steel Rectangular ERW Pipes are generally used for energy related functions that are related to oil and gas drilling.The variety of Alloy Steel Rectangular ERW Pipes that are available in our store varies in size the seamless pipes starts from ½” to 24” and the welded ones are from ½” to 130”. These Alloy Steel Rectangular ERW Pipes are available in different types of materials and dimensions and it is supplied only after passing the test certificate of the manufacturer. These Alloy Steel Rectangular ERW Pipes are made up of top quality steel which makes them sturdy and long lasting. NeelKamal Steels are widely involved in manufacturing Alloy Steel Square ERW Pipes. We have a huge range of such Alloy Steel Square ERW Pipes at our store which is highly praised for their features. These Alloy Steel Square ERW Pipes have smooth internal finish, high tensile strength, solidity and it is precisely designed.These types of Alloy Steel Square ERW Pipes are used in nuclear power, petroleum and petrochemical plants, marine applications and fossil fuel power plants. 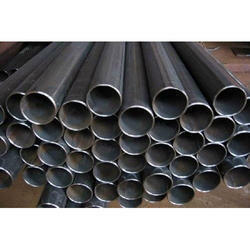 These types of Alloy Steel Square ERW Pipes are generally used for energy related functions that are related to oil and gas drilling.The variety of Alloy Steel Square ERW Pipes that are available in our store varies in size the seamless pipes starts from ½” to 24” and the welded ones are from ½” to 130”. These Alloy Steel Square ERW Pipes are available in different types of materials and dimensions and it is supplied only after passing the test certificate of the manufacturer. 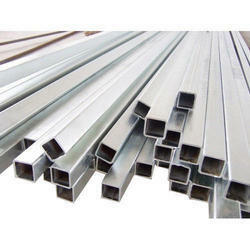 These Alloy Steel Square ERW Pipes are made up of top quality steel which makes them sturdy and long lasting. NeelKamal Steels are widely involved in manufacturing Carbon Steel Round ERW Pipes. We have a huge range of such Carbon Steel Round ERW Pipes at our store which is highly praised for their features. These Carbon Steel Round ERW Pipes have smooth internal finish, high tensile strength, solidity and it is precisely designed.These types of Carbon Steel Round ERW Pipes are used in nuclear power, petroleum and petrochemical plants, marine applications and fossil fuel power plants. These types of Carbon Steel Round ERW Pipes are generally used for energy related functions that are related to oil and gas drilling.The variety of Carbon Steel Round ERW Pipes that are available in our store varies in size the seamless pipes starts from ½” to 24” and the welded ones are from ½” to 130”. These Carbon Steel Round ERW Pipes are available in different types of materials and dimensions and it is supplied only after passing the test certificate of the manufacturer. These Carbon Steel Round ERW Pipes are made up of top quality steel which makes them sturdy and long lasting. 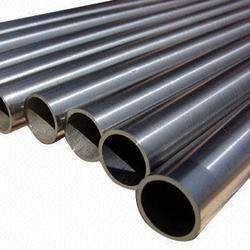 NeelKamal Steels are widely involved in manufacturing Nickel Alloys Rectangular Seamless Pipes. We have a huge range of such Nickel Alloys Rectangular Seamless Pipes at our store which is highly praised for their features. 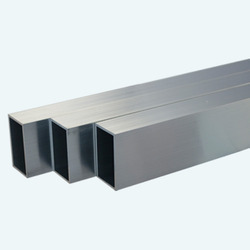 These Nickel Alloys Rectangular Seamless Pipes have smooth internal finish, high tensile strength, solidity and it is precisely designed.These types of Nickel Alloys Rectangular Seamless Pipes are used in nuclear power, petroleum and petrochemical plants, marine applications and fossil fuel power plants. These types of Nickel Alloys Rectangular Seamless Pipes are generally used for energy related functions that are related to oil and gas drilling.The variety of Nickel Alloys Rectangular Seamless Pipes that are available in our store varies in size the seamless pipes starts from ½” to 24” and the welded ones are from ½” to 130”. These Nickel Alloys Rectangular Seamless Pipes are available in different types of materials and dimensions and it is supplied only after passing the test certificate of the manufacturer. These Nickel Alloys Rectangular Seamless Pipes are made up of top quality steel which makes them sturdy and long lasting. NeelKamal Steels are widely involved in manufacturing Nickel Alloys Round ERW Pipes. We have a huge range of such Nickel Alloys Round ERW Pipes at our store which is highly praised for their features. These Nickel Alloys Round ERW Pipes have smooth internal finish, high tensile strength, solidity and it is precisely designed.These types of Nickel Alloys Round ERW Pipes are used in nuclear power, petroleum and petrochemical plants, marine applications and fossil fuel power plants. 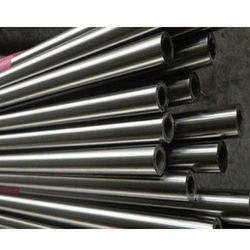 These types of Nickel Alloys Round ERW Pipes are generally used for energy related functions that are related to oil and gas drilling.The variety of Nickel Alloys Round ERW Pipes that are available in our store varies in size the seamless pipes starts from ½” to 24” and the welded ones are from ½” to 130”. These Nickel Alloys Round ERW Pipes are available in different types of materials and dimensions and it is supplied only after passing the test certificate of the manufacturer. These Nickel Alloys Round ERW Pipes are made up of top quality steel which makes them sturdy and long lasting. NeelKamal Steels are widely involved in manufacturing Nickel Alloys Round Seamless Pipes. We have a huge range of such Nickel Alloys Round Seamless Pipes at our store which is highly praised for their features. These Nickel Alloys Round Seamless Pipes have smooth internal finish, high tensile strength, solidity and it is precisely designed.These types of Nickel Alloys Round Seamless Pipes are used in nuclear power, petroleum and petrochemical plants, marine applications and fossil fuel power plants. These types of Nickel Alloys Round Seamless Pipes are generally used for energy related functions that are related to oil and gas drilling.The variety of Nickel Alloys Round Seamless Pipes that are available in our store varies in size the seamless pipes starts from ½” to 24” and the welded ones are from ½” to 130”. These Nickel Alloys Round Seamless Pipes are available in different types of materials and dimensions and it is supplied only after passing the test certificate of the manufacturer. These Nickel Alloys Round Seamless Pipes are made up of top quality steel which makes them sturdy and long lasting. NeelKamal Steels are widely involved in manufacturing Nickel Alloys Triangular ERW Pipes. We have a huge range of such Nickel Alloys Triangular ERW Pipes at our store which is highly praised for their features. 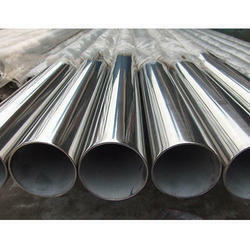 These Nickel Alloys Triangular ERW Pipes have smooth internal finish, high tensile strength, solidity and it is precisely designed.These types of Nickel Alloys Triangular ERW Pipes are used in nuclear power, petroleum and petrochemical plants, marine applications and fossil fuel power plants. These types of Nickel Alloys Triangular ERW Pipes are generally used for energy related functions that are related to oil and gas drilling.The variety of Nickel Alloys Triangular ERW Pipes that are available in our store varies in size the seamless pipes starts from ½” to 24” and the welded ones are from ½” to 130”. These Nickel Alloys Triangular ERW Pipes are available in different types of materials and dimensions and it is supplied only after passing the test certificate of the manufacturer. 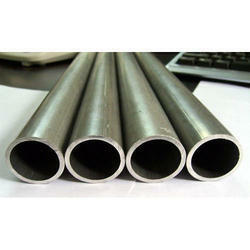 These Nickel Alloys Triangular ERW Pipes are made up of top quality steel which makes them sturdy and long lasting. NeelKamal Steels are widely involved in manufacturing Nickel Alloys Square ERW Pipes. 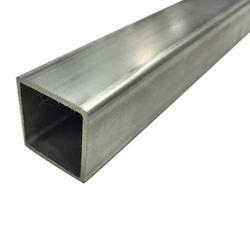 We have a huge range of such Nickel Alloys Square ERW Pipes at our store which is highly praised for their features. These Nickel Alloys Square ERW Pipes have smooth internal finish, high tensile strength, solidity and it is precisely designed.These types of Nickel Alloys Square ERW Pipes are used in nuclear power, petroleum and petrochemical plants, marine applications and fossil fuel power plants. 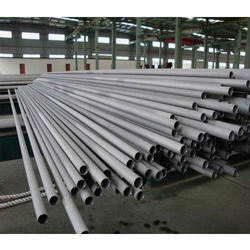 These types of Nickel Alloys Square ERW Pipes are generally used for energy related functions that are related to oil and gas drilling.The variety of Nickel Alloys Square ERW Pipes that are available in our store varies in size the seamless pipes starts from ½” to 24” and the welded ones are from ½” to 130”. These Nickel Alloys Square ERW Pipes are available in different types of materials and dimensions and it is supplied only after passing the test certificate of the manufacturer. 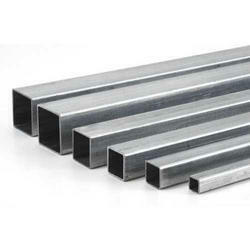 These Nickel Alloys Square ERW Pipes are made up of top quality steel which makes them sturdy and long lasting. NeelKamal Steels are widely involved in manufacturing Stainless Steel Square Seamless Pipes. We have a huge range of such Stainless Steel Square Seamless Pipes at our store which is highly praised for their features. 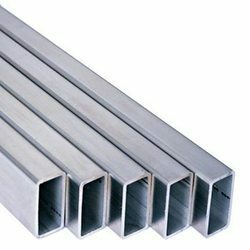 These Stainless Steel Square Seamless Pipes have smooth internal finish, high tensile strength, solidity and it is precisely designed.These types of Stainless Steel Square Seamless Pipes are used in nuclear power, petroleum and petrochemical plants, marine applications and fossil fuel power plants. These types of Stainless Steel Square Seamless Pipes are generally used for energy related functions that are related to oil and gas drilling.The variety of Stainless Steel Square Seamless Pipes that are available in our store varies in size the seamless pipes starts from ½” to 24” and the welded ones are from ½” to 130”. These Stainless Steel Square Seamless Pipes are available in different types of materials and dimensions and it is supplied only after passing the test certificate of the manufacturer. 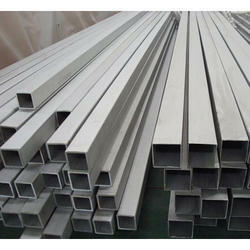 These Stainless Steel Square Seamless Pipes are made up of top quality steel which makes them sturdy and long lasting. NeelKamal Steels are widely involved in manufacturing Carbon Steel Square Seamless Pipes. We have a huge range of such Carbon Steel Square Seamless Pipes at our store which is highly praised for their features. These Carbon Steel Square Seamless Pipes have smooth internal finish, high tensile strength, solidity and it is precisely designed.These types of Carbon Steel Square Seamless Pipes are used in nuclear power, petroleum and petrochemical plants, marine applications and fossil fuel power plants. These types of Carbon Steel Square Seamless Pipes are generally used for energy related functions that are related to oil and gas drilling.The variety of Carbon Steel Square Seamless Pipes that are available in our store varies in size the seamless pipes starts from ½” to 24” and the welded ones are from ½” to 130”. These Carbon Steel Square Seamless Pipes are available in different types of materials and dimensions and it is supplied only after passing the test certificate of the manufacturer. These Carbon Steel Square Seamless Pipes are made up of top quality steel which makes them sturdy and long lasting. NeelKamal Steels are widely involved in manufacturing Duplex Steel Oval Seamless Pipes. We have a huge range of such Duplex Steel Oval Seamless Pipes at our store which is highly praised for their features. These Duplex Steel Oval Seamless Pipes have smooth internal finish, high tensile strength, solidity and it is precisely designed.These types of Duplex Steel Oval Seamless Pipes are used in nuclear power, petroleum and petrochemical plants, marine applications and fossil fuel power plants. These types of Duplex Steel Oval Seamless Pipes are generally used for energy related functions that are related to oil and gas drilling.The variety of Duplex Steel Oval Seamless Pipes that are available in our store varies in size the seamless pipes starts from ½” to 24” and the welded ones are from ½” to 130”. These Duplex Steel Oval Seamless Pipes are available in different types of materials and dimensions and it is supplied only after passing the test certificate of the manufacturer. These Duplex Steel Oval Seamless Pipes are made up of top quality steel which makes them sturdy and long lasting. NeelKamal Steels are widely involved in manufacturing Duplex Steel Triangular Seamless Pipes. We have a huge range of such Duplex Steel Triangular Seamless Pipes at our store which is highly praised for their features. 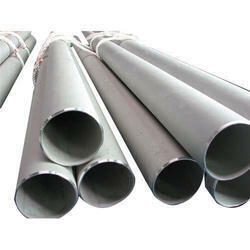 These Duplex Steel Triangular Seamless Pipes have smooth internal finish, high tensile strength, solidity and it is precisely designed.These types of Duplex Steel Triangular Seamless Pipes are used in nuclear power, petroleum and petrochemical plants, marine applications and fossil fuel power plants. 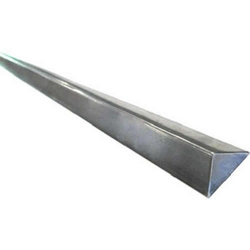 These types of Duplex Steel Triangular Seamless Pipes are generally used for energy related functions that are related to oil and gas drilling.The variety of Duplex Steel Triangular Seamless Pipes that are available in our store varies in size the seamless pipes starts from ½” to 24” and the welded ones are from ½” to 130”. These Duplex Steel Triangular Seamless Pipes are available in different types of materials and dimensions and it is supplied only after passing the test certificate of the manufacturer. 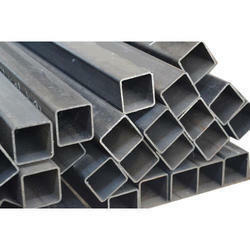 These Duplex Steel Triangular Seamless Pipes are made up of top quality steel which makes them sturdy and long lasting. NeelKamal Steels are widely involved in manufacturing Duplex Steel Rectangular Seamless Pipes. We have a huge range of such Duplex Steel Rectangular Seamless Pipes at our store which is highly praised for their features. These Duplex Steel Rectangular Seamless Pipes have smooth internal finish, high tensile strength, solidity and it is precisely designed.These types of Duplex Steel Rectangular Seamless Pipes are used in nuclear power, petroleum and petrochemical plants, marine applications and fossil fuel power plants. These types of Duplex Steel Rectangular Seamless Pipes are generally used for energy related functions that are related to oil and gas drilling.The variety of Duplex Steel Rectangular Seamless Pipes that are available in our store varies in size the seamless pipes starts from ½” to 24” and the welded ones are from ½” to 130”. These Duplex Steel Rectangular Seamless Pipes are available in different types of materials and dimensions and it is supplied only after passing the test certificate of the manufacturer. These Duplex Steel Rectangular Seamless Pipes are made up of top quality steel which makes them sturdy and long lasting. NeelKamal Steels are widely involved in manufacturing Duplex Steel Oval ERW Pipes. We have a huge range of such Duplex Steel Oval ERW Pipes at our store which is highly praised for their features. These Duplex Steel Oval ERW Pipes have smooth internal finish, high tensile strength, solidity and it is precisely designed.These types of Duplex Steel Oval ERW Pipes are used in nuclear power, petroleum and petrochemical plants, marine applications and fossil fuel power plants. These types of Duplex Steel Oval ERW Pipes are generally used for energy related functions that are related to oil and gas drilling.The variety of Duplex Steel Oval ERW Pipes that are available in our store varies in size the seamless pipes starts from ½” to 24” and the welded ones are from ½” to 130”. These Duplex Steel Oval ERW Pipes are available in different types of materials and dimensions and it is supplied only after passing the test certificate of the manufacturer. These Duplex Steel Oval ERW Pipes are made up of top quality steel which makes them sturdy and long lasting. NeelKamal Steels are widely involved in manufacturing Duplex Steel Rectangular ERW Pipes. We have a huge range of such Duplex Steel Rectangular ERW Pipes at our store which is highly praised for their features. 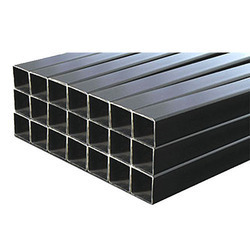 These Duplex Steel Rectangular ERW Pipes have smooth internal finish, high tensile strength, solidity and it is precisely designed.These types of Duplex Steel Rectangular ERW Pipes are used in nuclear power, petroleum and petrochemical plants, marine applications and fossil fuel power plants. 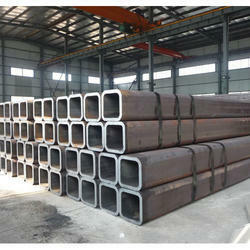 These types of Duplex Steel Rectangular ERW Pipes are generally used for energy related functions that are related to oil and gas drilling.The variety of Duplex Steel Rectangular ERW Pipes that are available in our store varies in size the seamless pipes starts from ½” to 24” and the welded ones are from ½” to 130”. These Duplex Steel Rectangular ERW Pipes are available in different types of materials and dimensions and it is supplied only after passing the test certificate of the manufacturer. These Duplex Steel Rectangular ERW Pipes are made up of top quality steel which makes them sturdy and long lasting. NeelKamal Steels are widely involved in manufacturing Nickel Alloys Square Seamless Pipes. We have a huge range of such Nickel Alloys Square Seamless Pipes at our store which is highly praised for their features. These Nickel Alloys Square Seamless Pipes have smooth internal finish, high tensile strength, solidity and it is precisely designed.These types of Nickel Alloys Square Seamless Pipes are used in nuclear power, petroleum and petrochemical plants, marine applications and fossil fuel power plants. These types of Nickel Alloys Square Seamless Pipes are generally used for energy related functions that are related to oil and gas drilling.The variety of Nickel Alloys Square Seamless Pipes that are available in our store varies in size the seamless pipes starts from ½” to 24” and the welded ones are from ½” to 130”. These Nickel Alloys Square Seamless Pipes are available in different types of materials and dimensions and it is supplied only after passing the test certificate of the manufacturer. 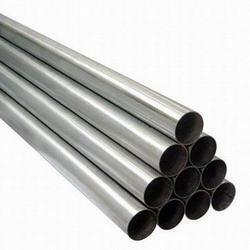 These Nickel Alloys Square Seamless Pipes are made up of top quality steel which makes them sturdy and long lasting. NeelKamal Steels are widely involved in manufacturing Nickel Alloys Oval ERW Pipes. We have a huge range of such Nickel Alloys Oval ERW Pipes at our store which is highly praised for their features. These Nickel Alloys Oval ERW Pipes have smooth internal finish, high tensile strength, solidity and it is precisely designed.These types of Nickel Alloys Oval ERW Pipes are used in nuclear power, petroleum and petrochemical plants, marine applications and fossil fuel power plants. 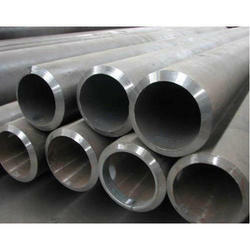 These types of Nickel Alloys Oval ERW Pipes are generally used for energy related functions that are related to oil and gas drilling.The variety of Nickel Alloys Oval ERW Pipes that are available in our store varies in size the seamless pipes starts from ½” to 24” and the welded ones are from ½” to 130”. These Nickel Alloys Oval ERW Pipes are available in different types of materials and dimensions and it is supplied only after passing the test certificate of the manufacturer. These Nickel Alloys Oval ERW Pipes are made up of top quality steel which makes them sturdy and long lasting. NeelKamal Steels are widely involved in manufacturing Stainless Steel Oval Seamless Pipes. We have a huge range of such Stainless Steel Oval Seamless Pipes at our store which is highly praised for their features. These Stainless Steel Oval Seamless Pipes have smooth internal finish, high tensile strength, solidity and it is precisely designed.These types of Stainless Steel Oval Seamless Pipes are used in nuclear power, petroleum and petrochemical plants, marine applications and fossil fuel power plants. These types of Stainless Steel Oval Seamless Pipes are generally used for energy related functions that are related to oil and gas drilling.The variety of Stainless Steel Oval Seamless Pipes that are available in our store varies in size the seamless pipes starts from ½” to 24” and the welded ones are from ½” to 130”. These Stainless Steel Oval Seamless Pipes are available in different types of materials and dimensions and it is supplied only after passing the test certificate of the manufacturer. These Stainless Steel Oval Seamless Pipes are made up of top quality steel which makes them sturdy and long lasting. NeelKamal Steels are widely involved in manufacturing Stainless Steel Square ERW Pipes. 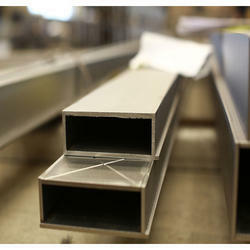 We have a huge range of such Stainless Steel Square ERW Pipes at our store which is highly praised for their features. These Stainless Steel Square ERW Pipes have smooth internal finish, high tensile strength, solidity and it is precisely designed.These types of Stainless Steel Square ERW Pipes are used in nuclear power, petroleum and petrochemical plants, marine applications and fossil fuel power plants. These types of Stainless Steel Square ERW Pipes are generally used for energy related functions that are related to oil and gas drilling.The variety of Stainless Steel Square ERW Pipes that are available in our store varies in size the seamless pipes starts from ½” to 24” and the welded ones are from ½” to 130”. These Stainless Steel Square ERW Pipes are available in different types of materials and dimensions and it is supplied only after passing the test certificate of the manufacturer. 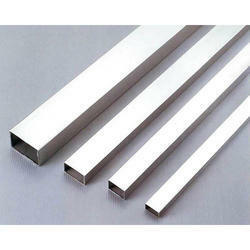 These Stainless Steel Square ERW Pipes are made up of top quality steel which makes them sturdy and long lasting. NeelKamal Steels are widely involved in manufacturing Stainless Steel Rectangular ERW Pipes. We have a huge range of such Stainless Steel Rectangular ERW Pipes at our store which is highly praised for their features. 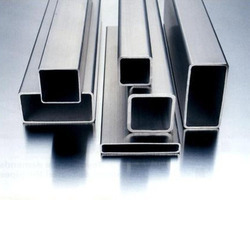 These Stainless Steel Rectangular ERW Pipes have smooth internal finish, high tensile strength, solidity and it is precisely designed.These types of Stainless Steel Rectangular ERW Pipes are used in nuclear power, petroleum and petrochemical plants, marine applications and fossil fuel power plants. These types of Stainless Steel Rectangular ERW Pipes are generally used for energy related functions that are related to oil and gas drilling.The variety of Stainless Steel Rectangular ERW Pipes that are available in our store varies in size the seamless pipes starts from ½” to 24” and the welded ones are from ½” to 130”. These Stainless Steel Rectangular ERW Pipes are available in different types of materials and dimensions and it is supplied only after passing the test certificate of the manufacturer. These Stainless Steel Rectangular ERW Pipes are made up of top quality steel which makes them sturdy and long lasting. NeelKamal Steels are widely involved in manufacturing Stainless Steel Round ERW Pipes. We have a huge range of such Stainless Steel Round ERW Pipes at our store which is highly praised for their features. These Stainless Steel Round ERW Pipes have smooth internal finish, high tensile strength, solidity and it is precisely designed.These types of Stainless Steel Round ERW Pipes are used in nuclear power, petroleum and petrochemical plants, marine applications and fossil fuel power plants. These types of Stainless Steel Round ERW Pipes are generally used for energy related functions that are related to oil and gas drilling.The variety of Stainless Steel Round ERW Pipes that are available in our store varies in size the seamless pipes starts from ½” to 24” and the welded ones are from ½” to 130”. These Stainless Steel Round ERW Pipes are available in different types of materials and dimensions and it is supplied only after passing the test certificate of the manufacturer. 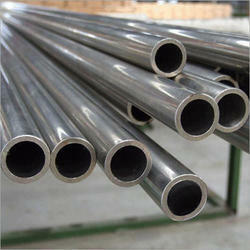 These Stainless Steel Round ERW Pipes are made up of top quality steel which makes them sturdy and long lasting. NeelKamal Steels are widely involved in manufacturing Stainless Steel Round Seamless Pipes. We have a huge range of such Stainless Steel Round Seamless Pipes at our store which is highly praised for their features. These Stainless Steel Round Seamless Pipes have smooth internal finish, high tensile strength, solidity and it is precisely designed.These types of Stainless Steel Round Seamless Pipes are used in nuclear power, petroleum and petrochemical plants, marine applications and fossil fuel power plants. These types of Stainless Steel Round Seamless Pipes are generally used for energy related functions that are related to oil and gas drilling.The variety of Stainless Steel Round Seamless Pipes that are available in our store varies in size the seamless pipes starts from ½” to 24” and the welded ones are from ½” to 130”. These Stainless Steel Round Seamless Pipes are available in different types of materials and dimensions and it is supplied only after passing the test certificate of the manufacturer. 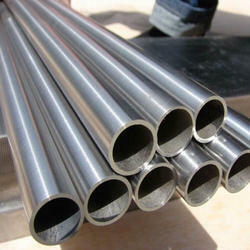 These Stainless Steel Round Seamless Pipes are made up of top quality steel which makes them sturdy and long lasting.